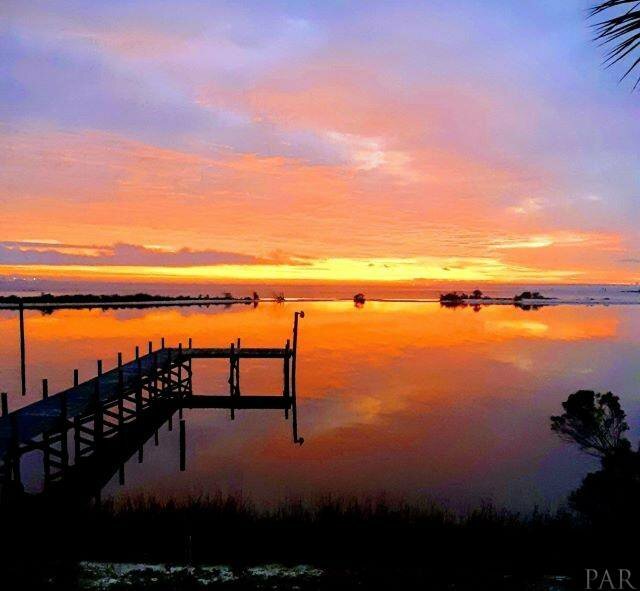 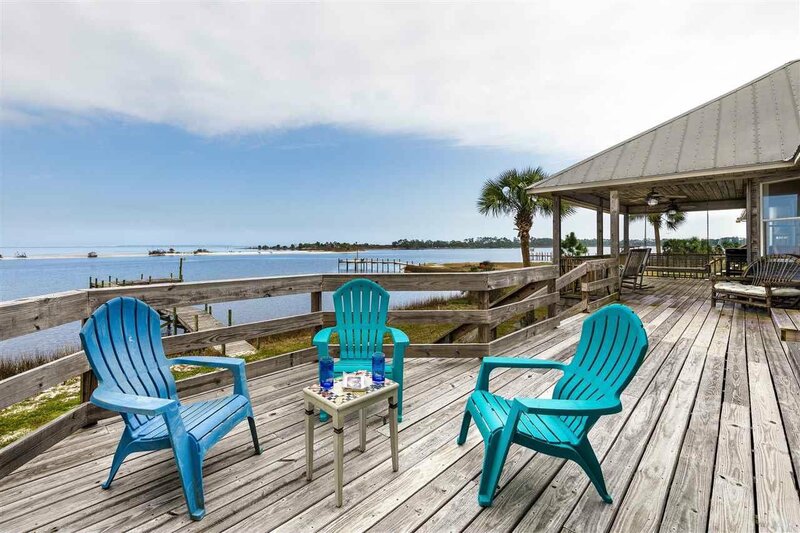 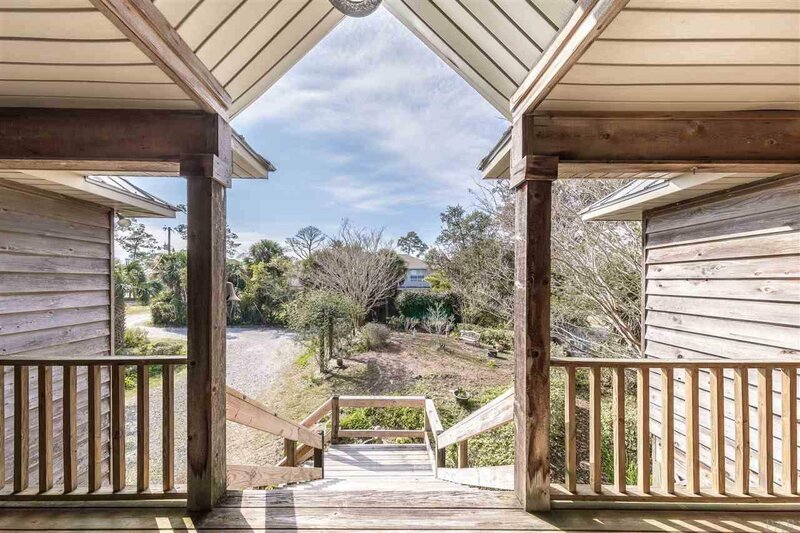 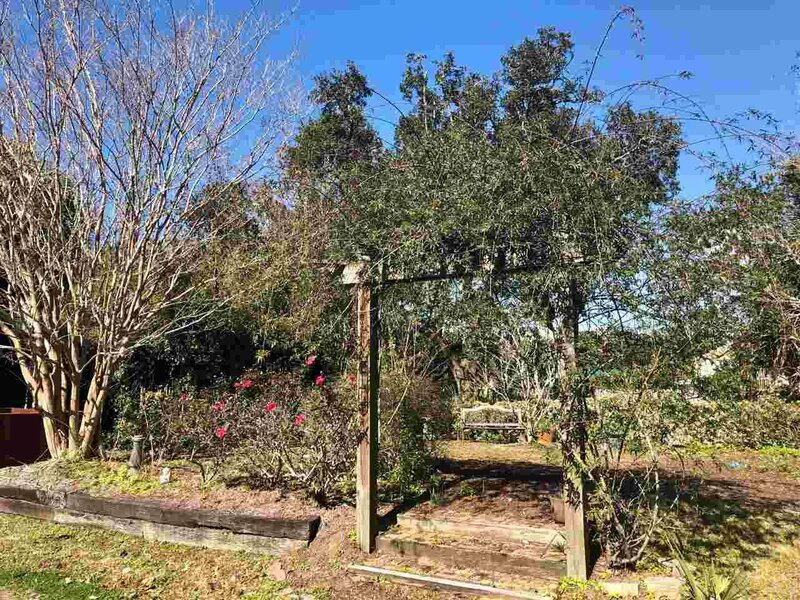 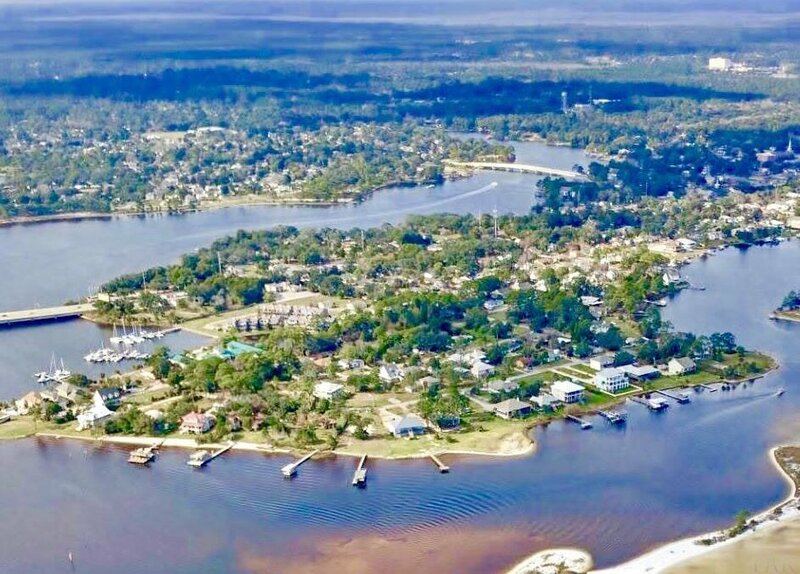 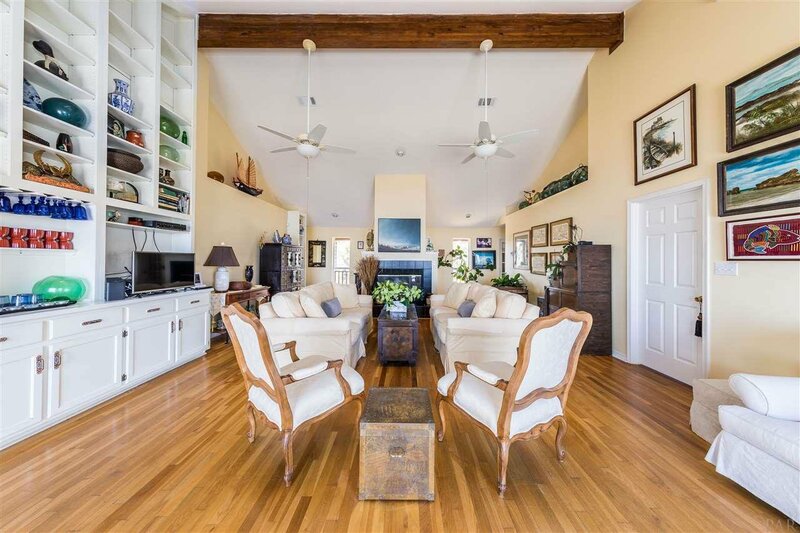 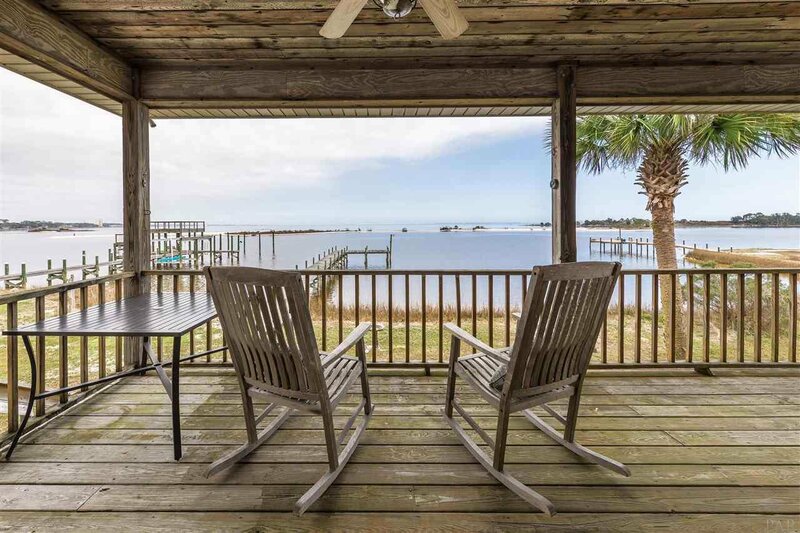 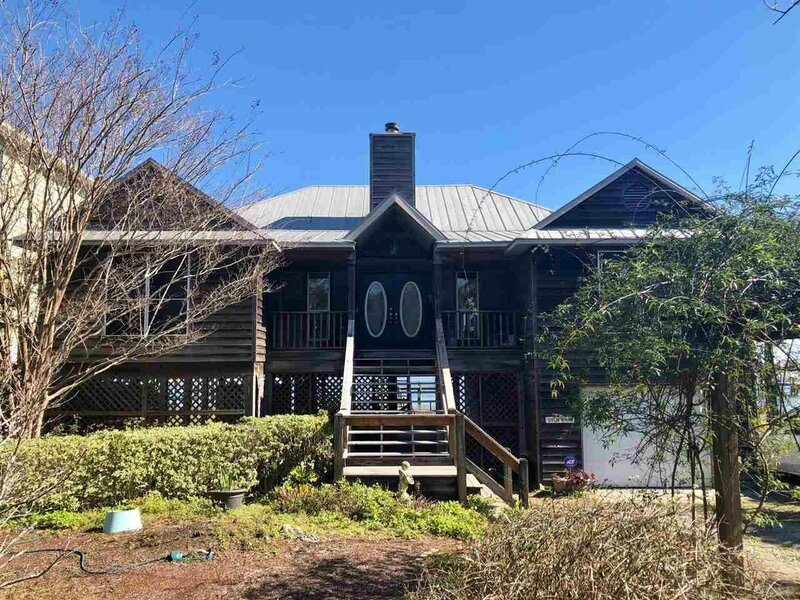 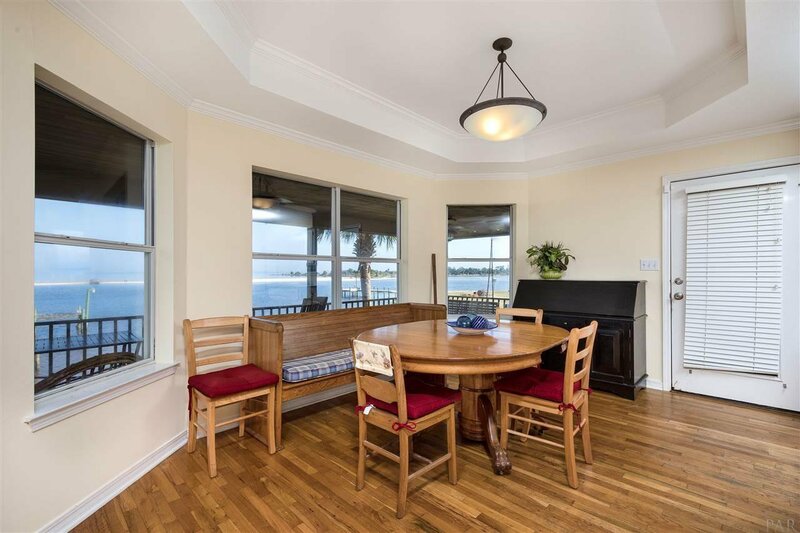 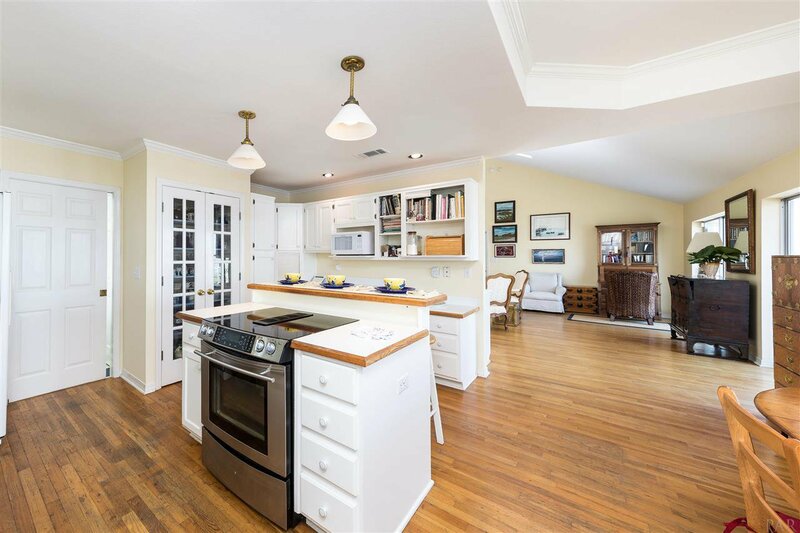 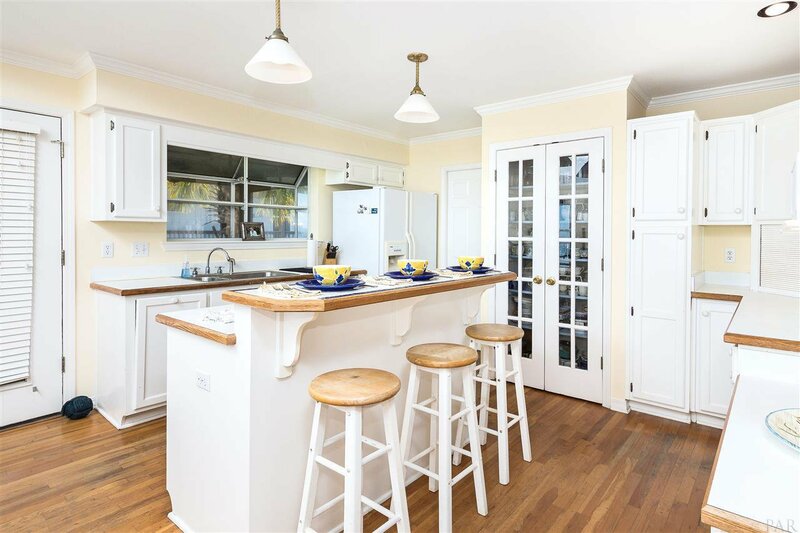 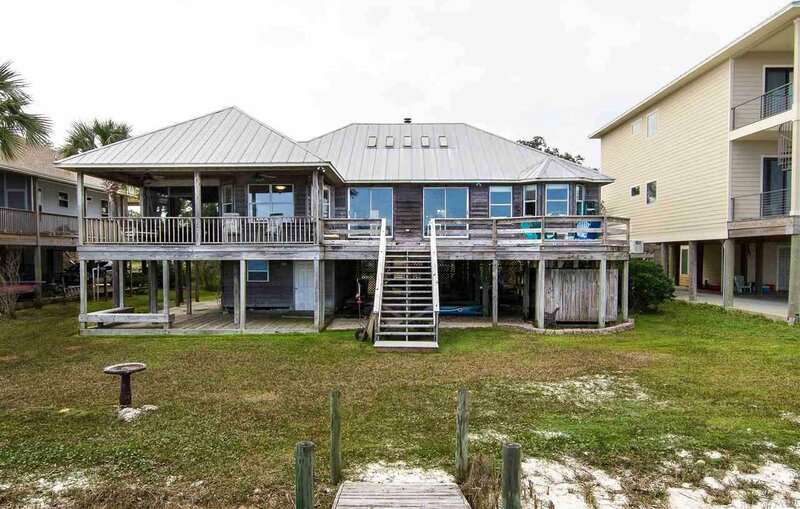 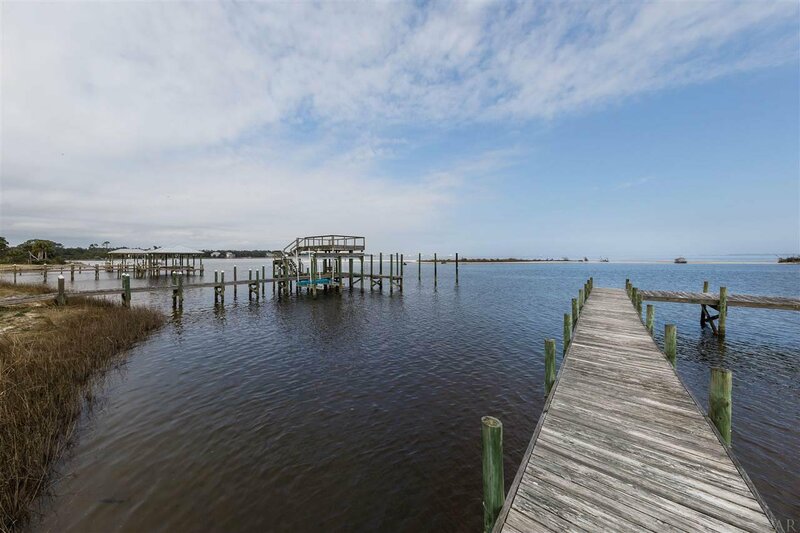 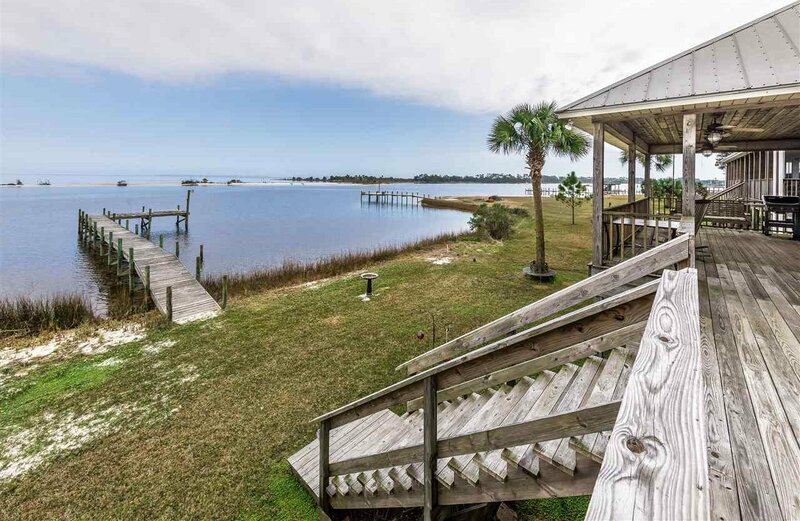 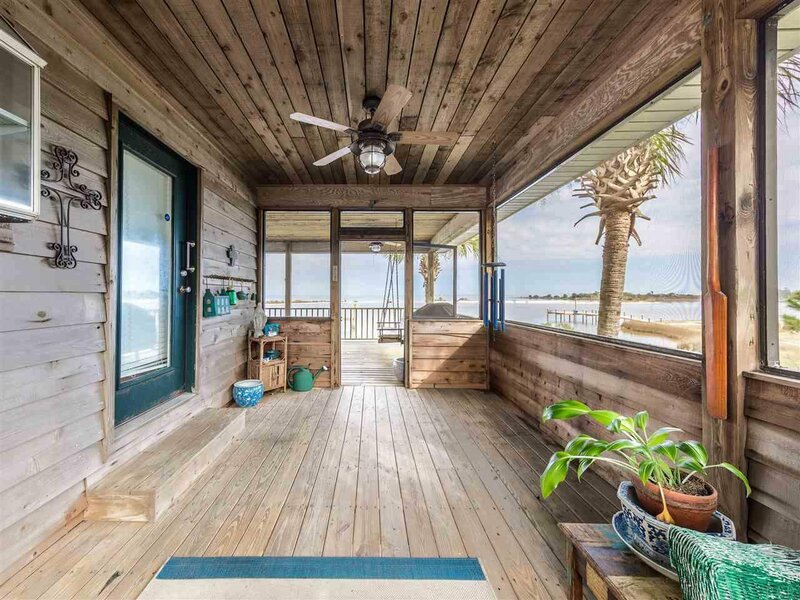 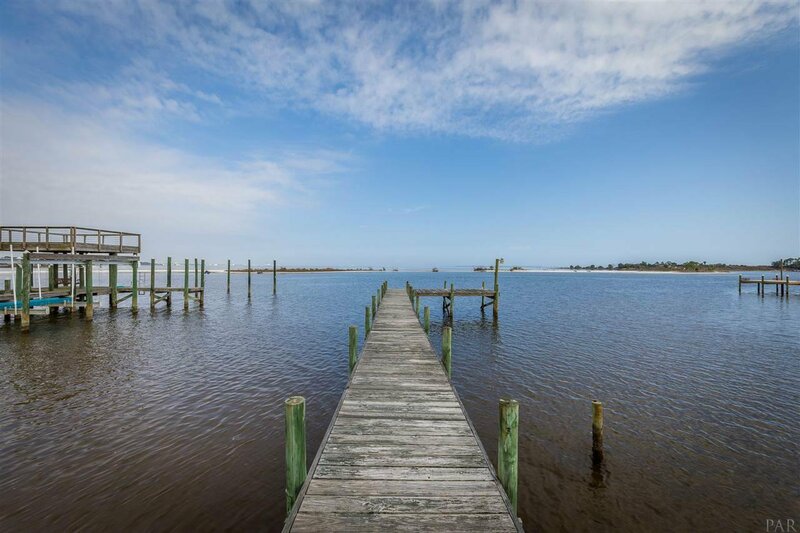 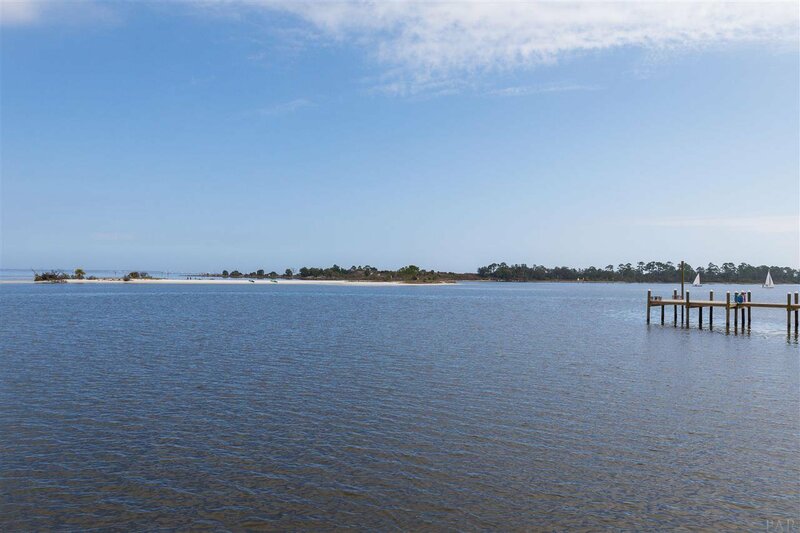 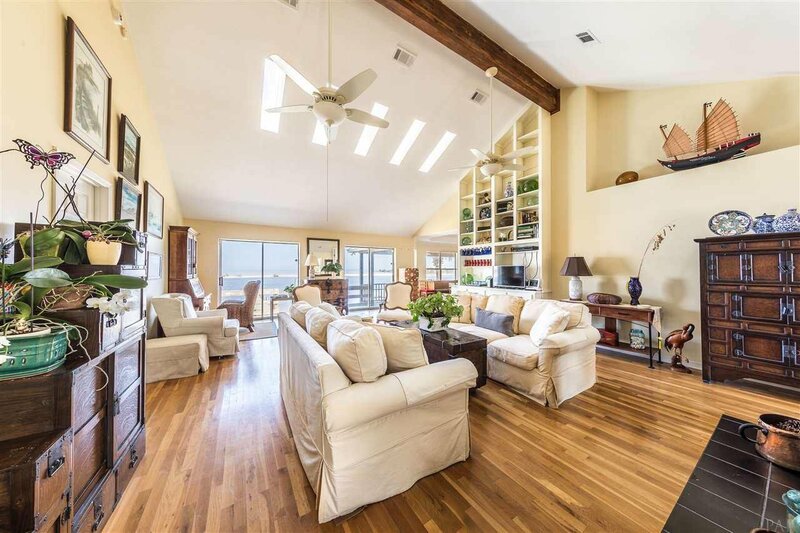 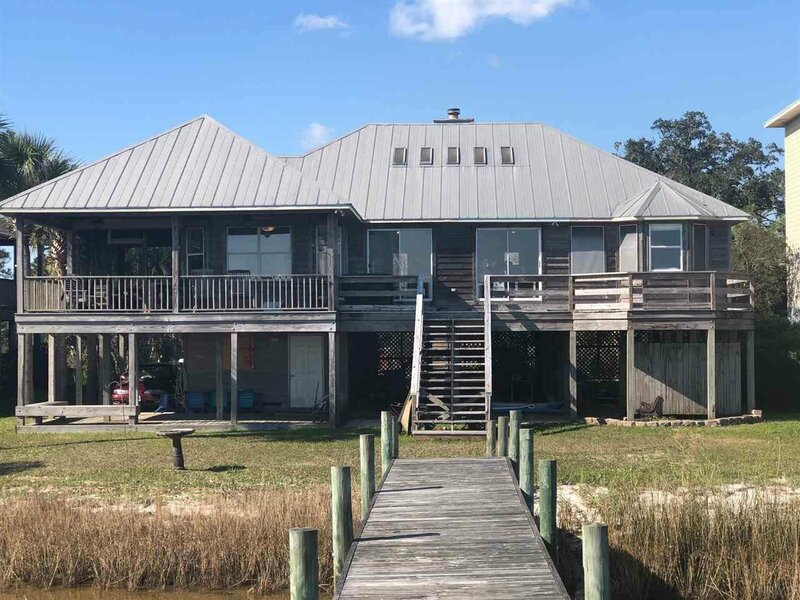 Resting on Pensacola Bay between Davenport Bayou and Bayou Grande, this charming Cottage style home with magnificent panoramic water views is paradise found! 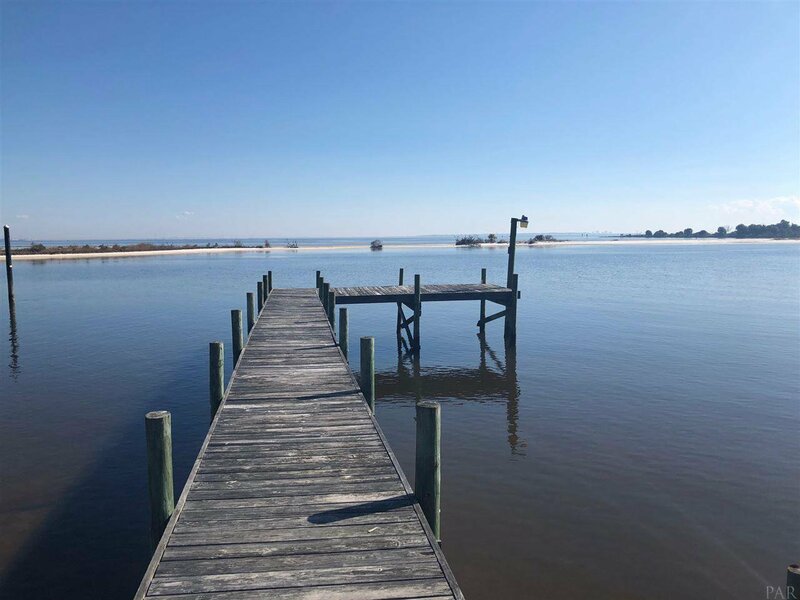 Calm bayou water for skiing in the afternoons with only a few minutes boat ride to the Gulf of Mexico and some of the Best Fishing Waters in the World are yours! 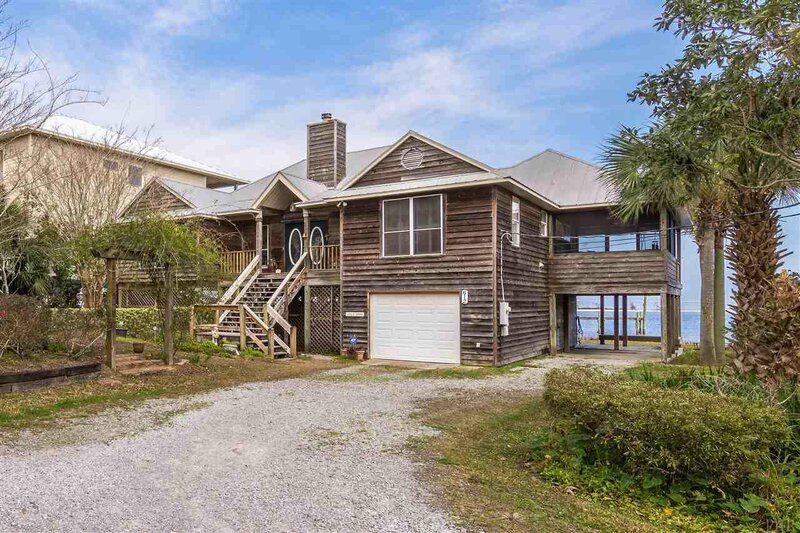 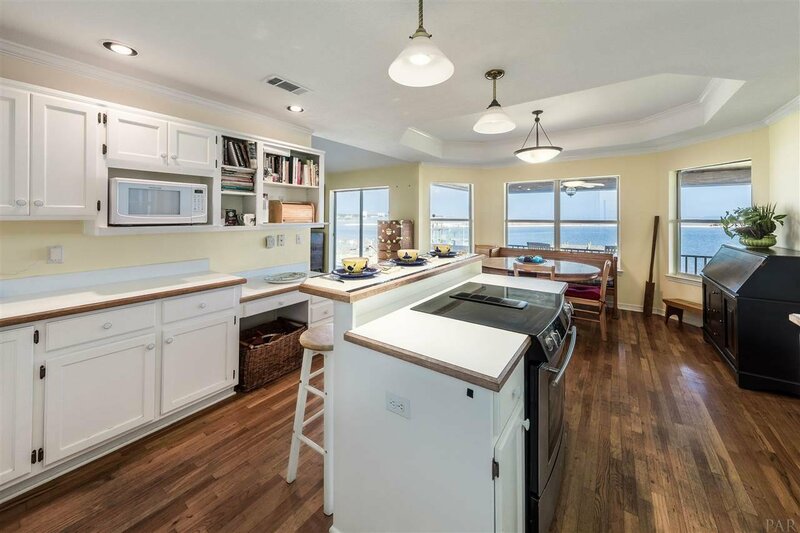 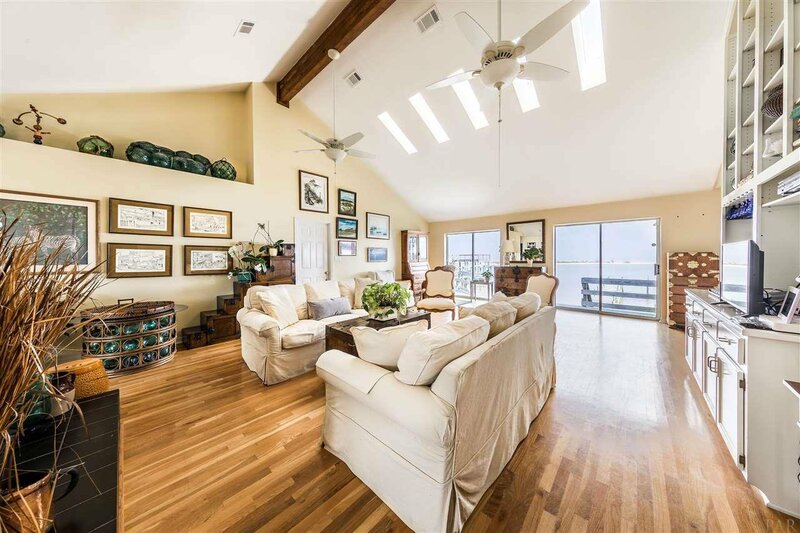 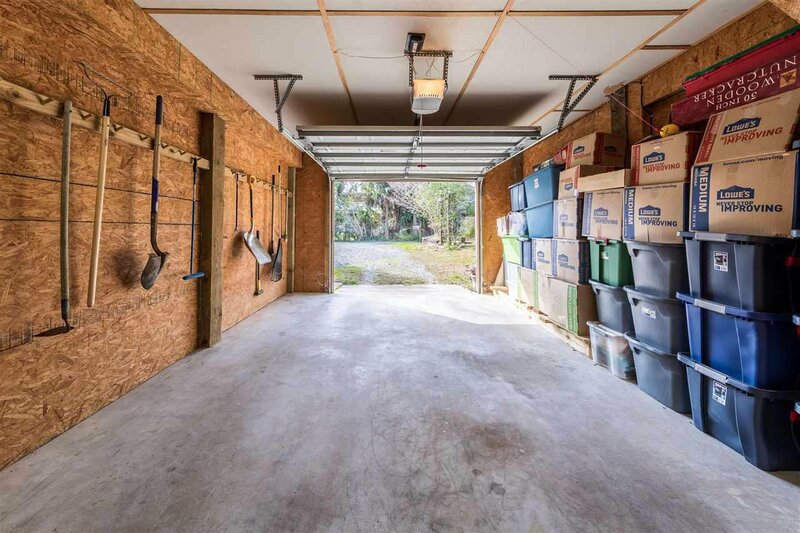 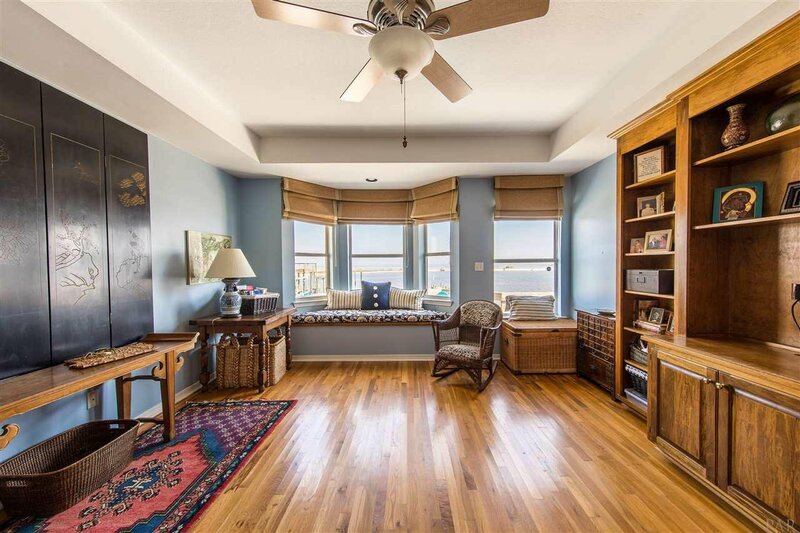 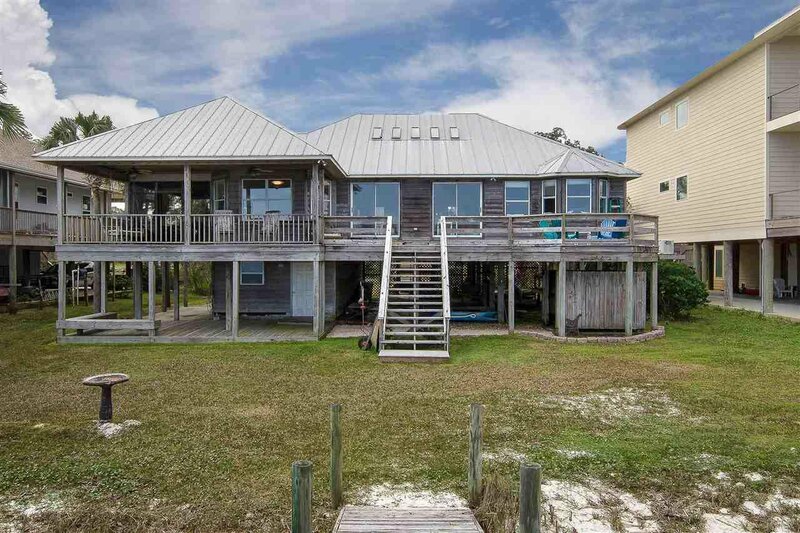 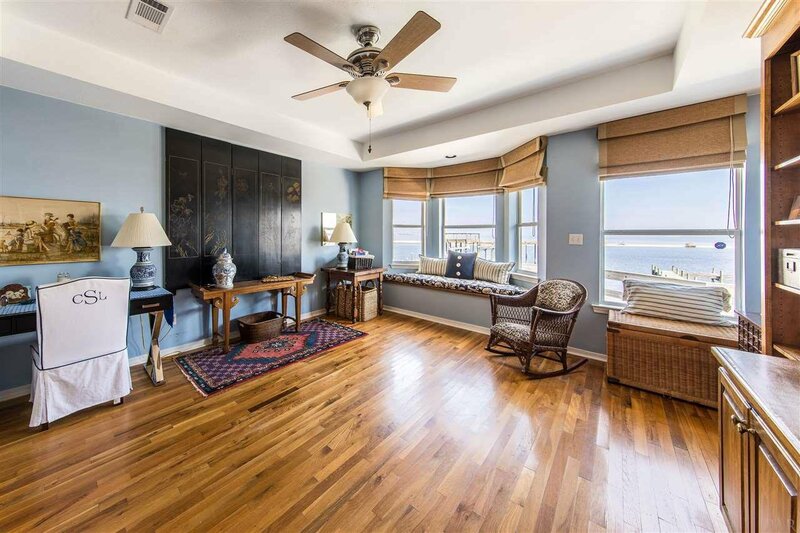 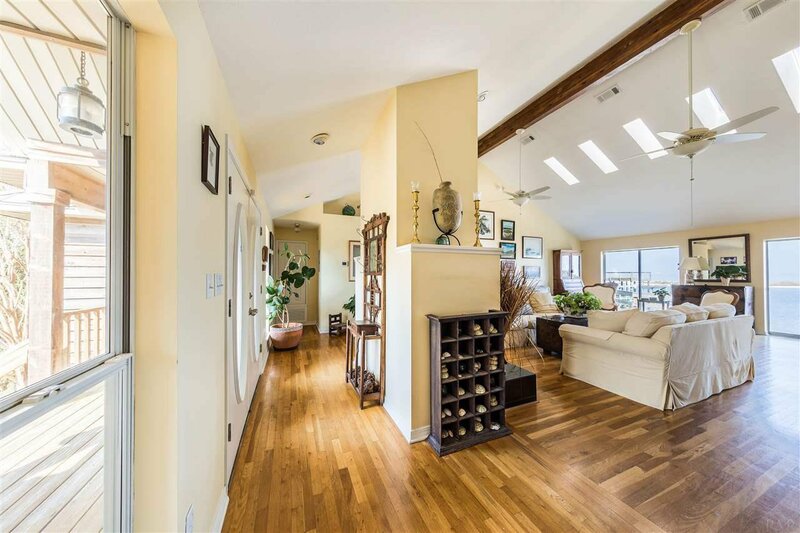 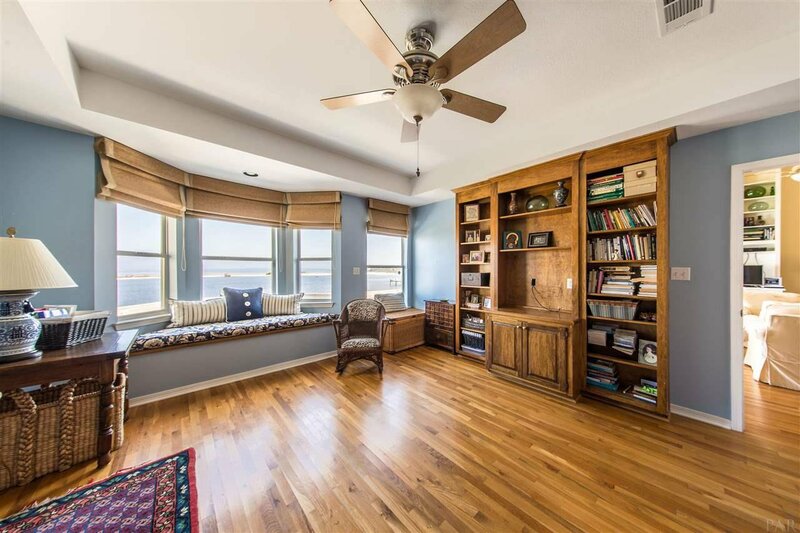 Inside this home, you will find an extremely open floor plan and an abundance of windows which capture the beauty of the sandy shoreline overlook “White Island” ~ just beyond your back patio doors. 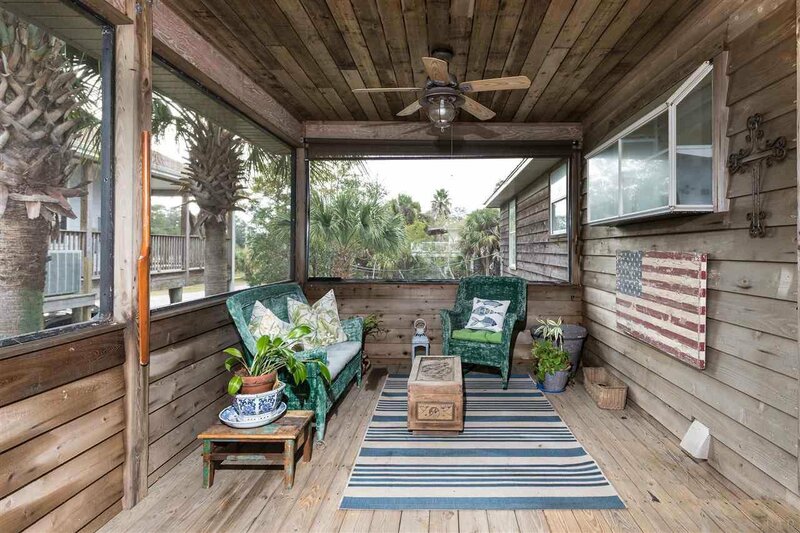 !It’s no secret that in Pensacola we live for our porches ~ perfect for enjoying those sweet breezes and dining al fresco. 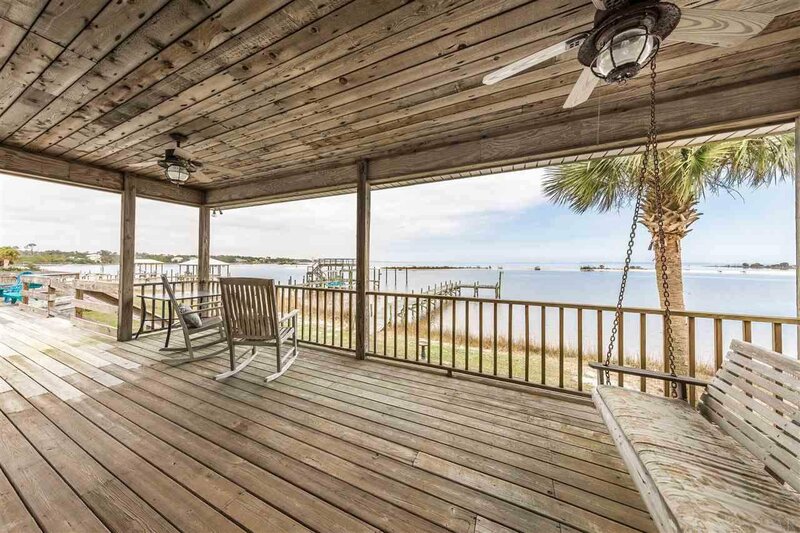 Start the day right watching the Sun rise from the open deck or under the covered porch. 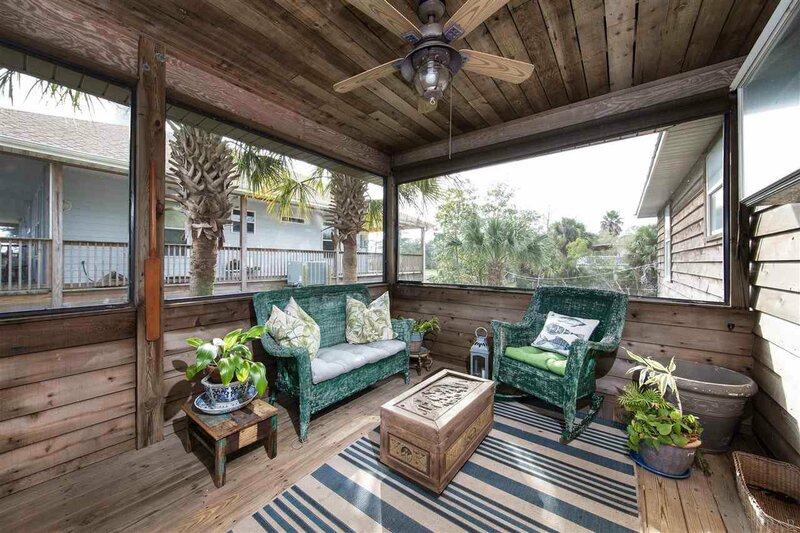 An 11’ x 20’ Screened Porch expands the living area and provides the perfect place to relax with a good book, entertain guests or host a family dinner. 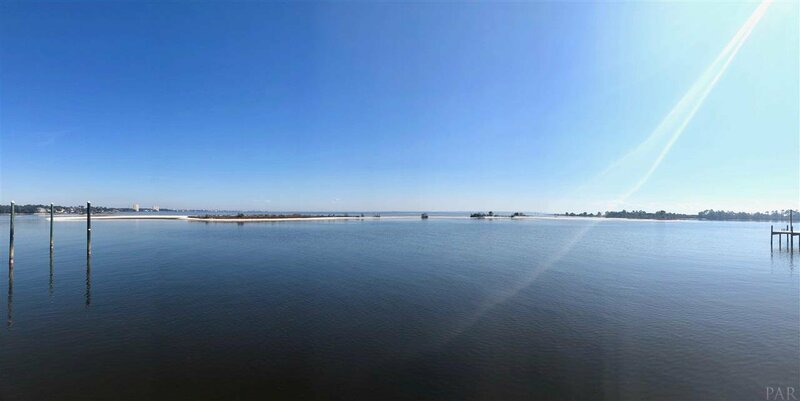 The 90’ long x 5’wide Pier with 10’ x 20’ terminal platform was constructed in 2005. 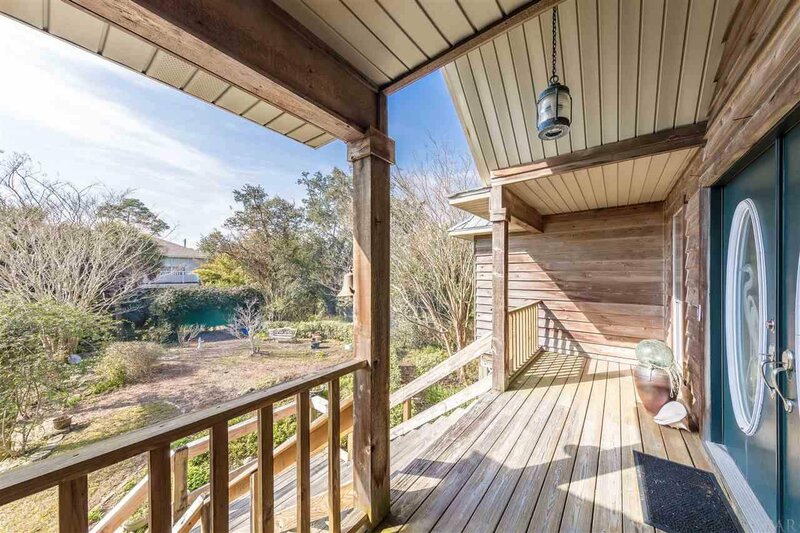 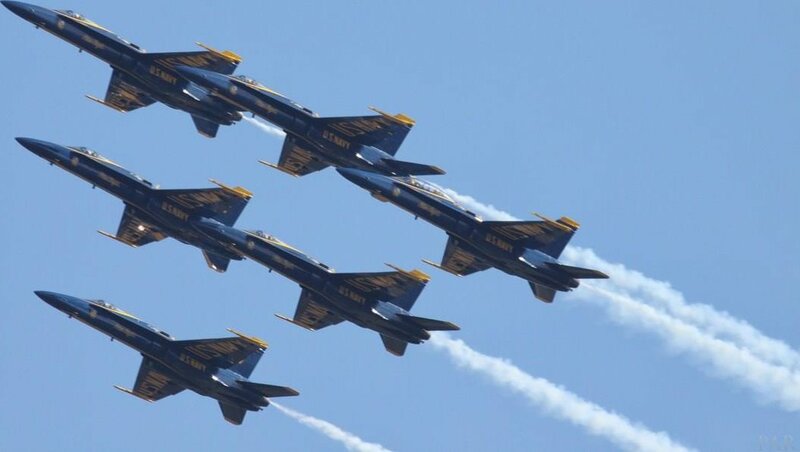 It is built with 3” SS screws and the framing is thru-bolted with ½” SS. 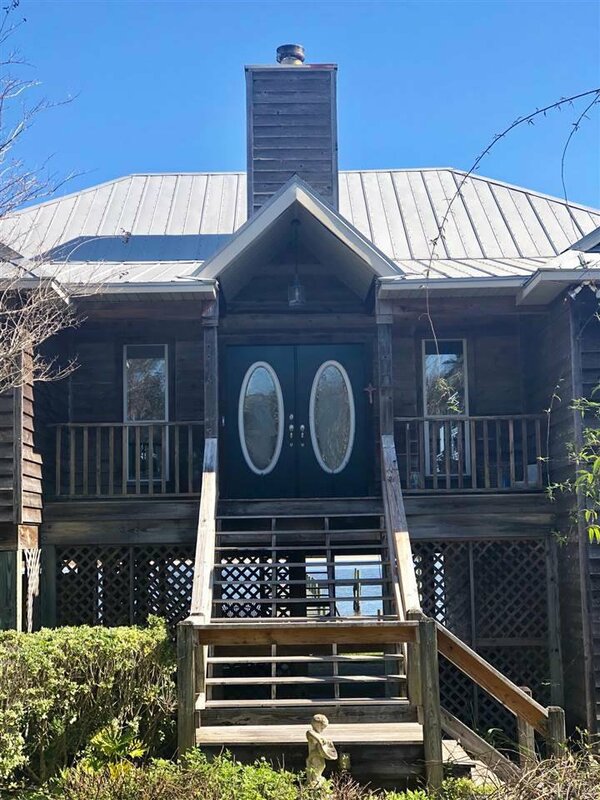 Interior features include Dramatic Cathedral Ceiling peaking to 15’, Trey Ceilings, Hardwood Floors, Bay Windows in Kitchen and Master Bedroom, Wood Burning Fireplace, Split Bedroom design and inside laundry. 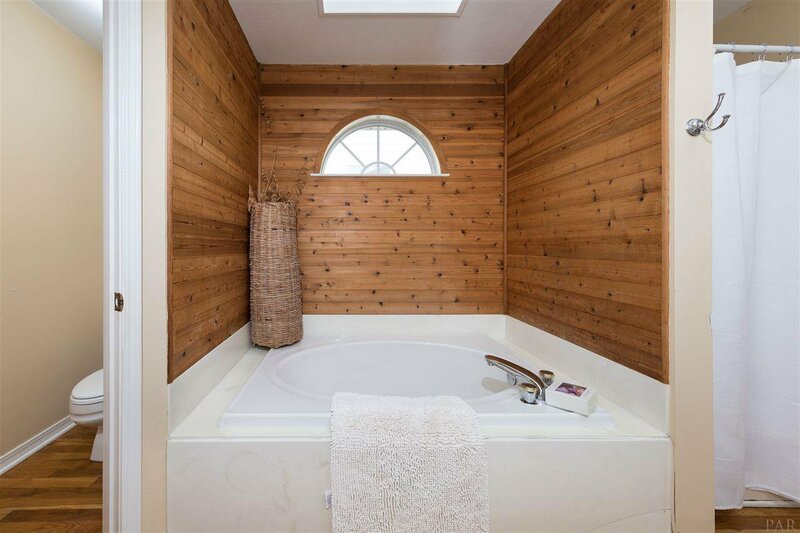 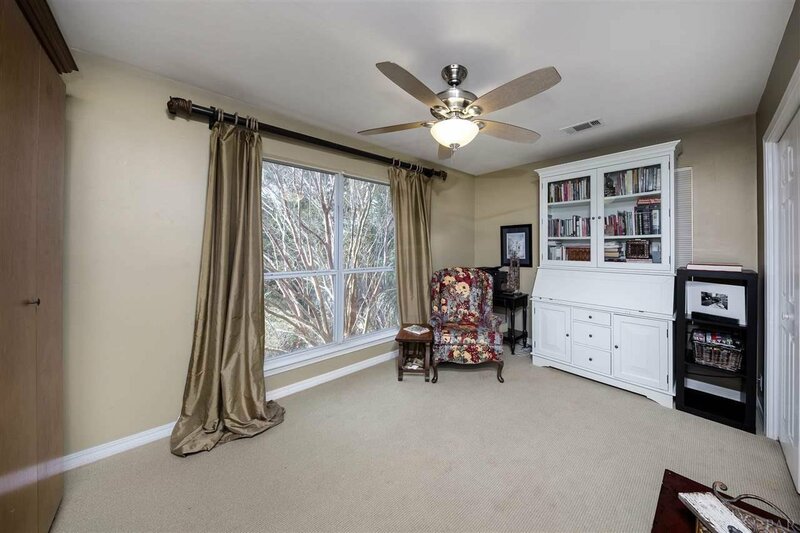 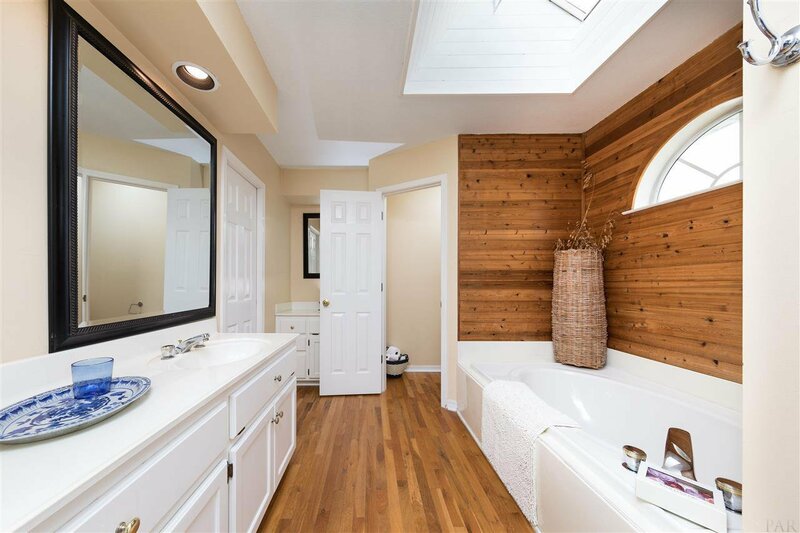 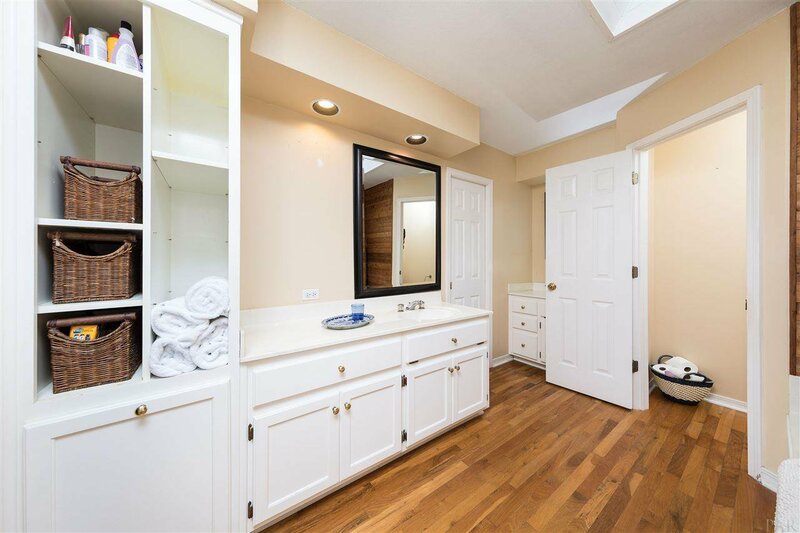 Master bath offers double sinks, garden tub, separate shower, skylight and walk in closet. 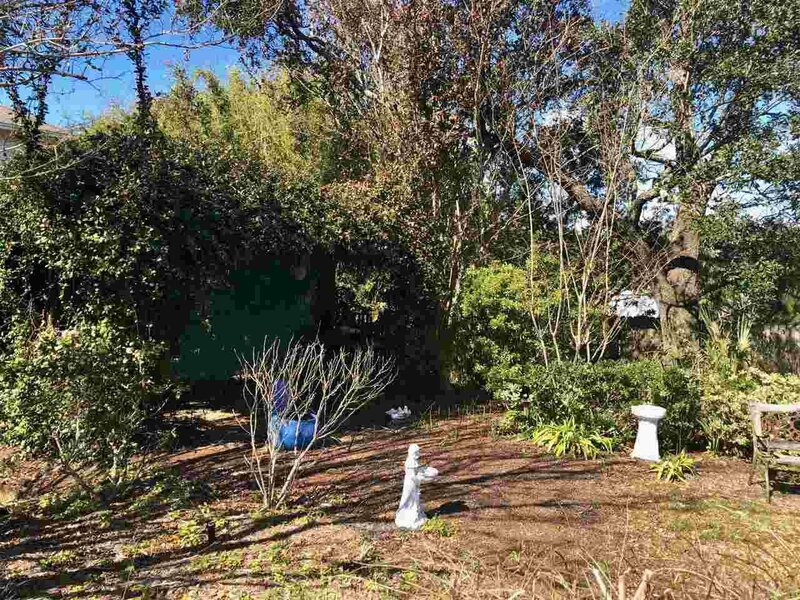 Ground Level bonus ~ Workshop with Electricity & Storage. 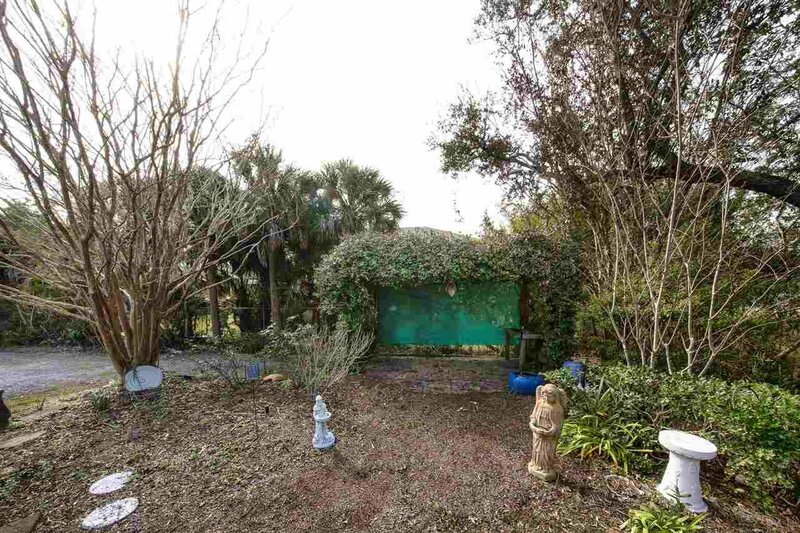 Single Car garage & Beautiful Serenity Garden providing an escape space for quiet time and reflection. 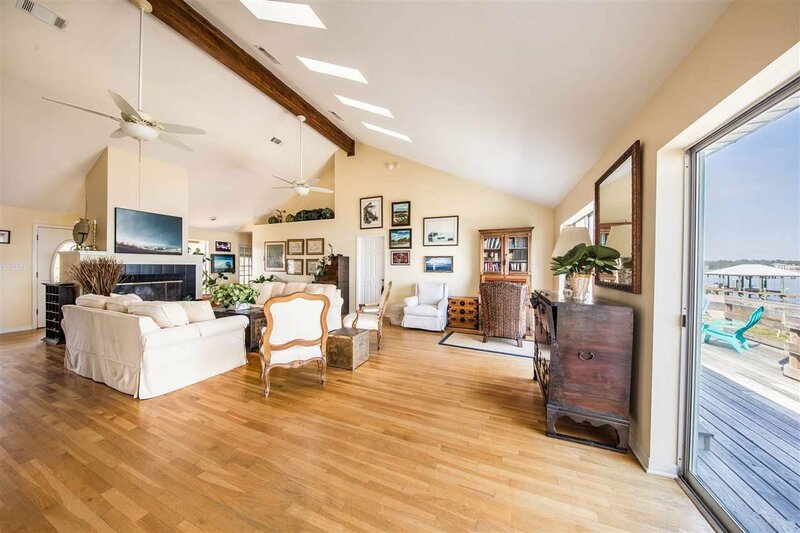 When you tour this special house you will not want to leave – Promise!